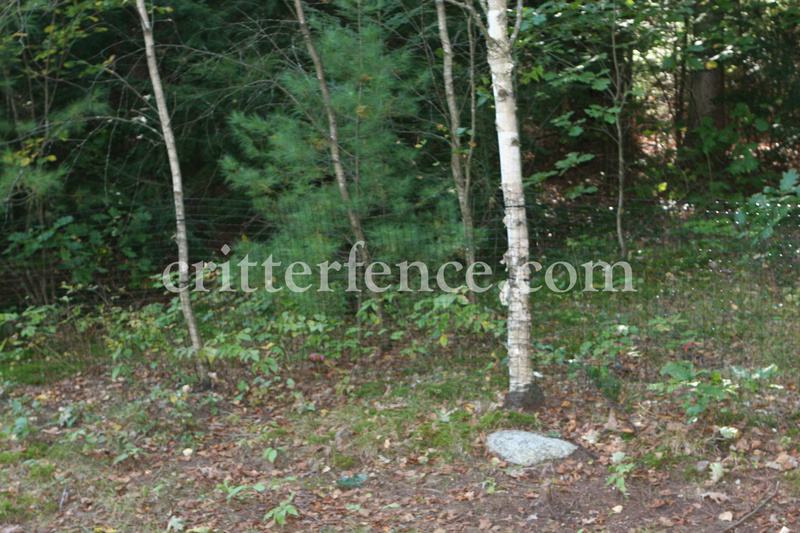 Thanks to Trish from NH for the photos of her 4ft tall dog fence and access gate. 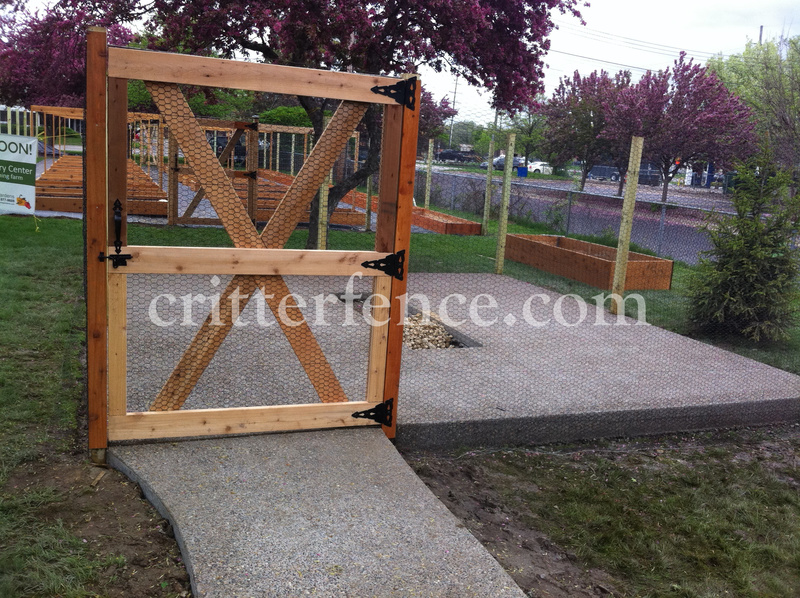 Trish used Critterfence 700 poly fence mesh and a 3' wide x 4' tall access gate. The fence material really blends in well through trees. 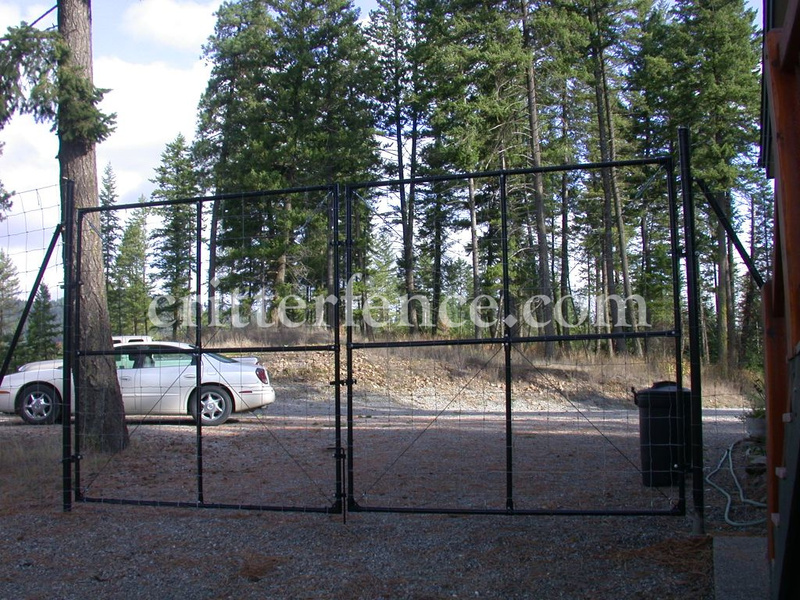 Thanks to Stan from Idaho for the photos of his access gates. 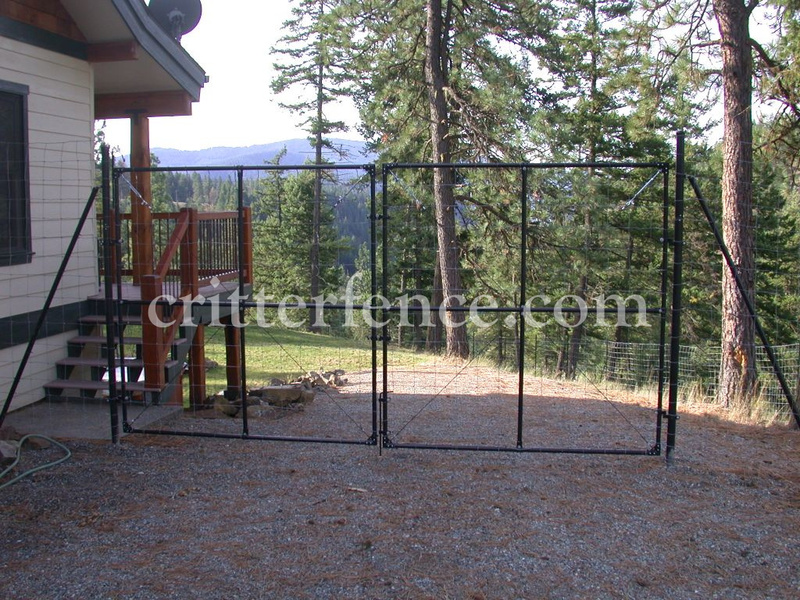 Stan used a 7' tall x 14' wide double leaf access gate and a 7' tall x 5' wide single leaf access gate with his own metal fence material. Nice mountain views! 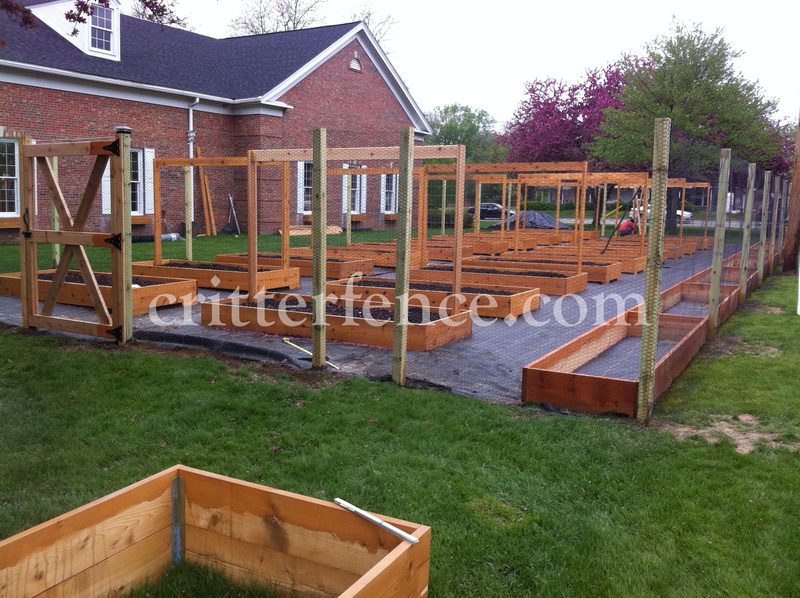 Thanks to Tom E for the photos he sent in of his garden enclosure in OH. 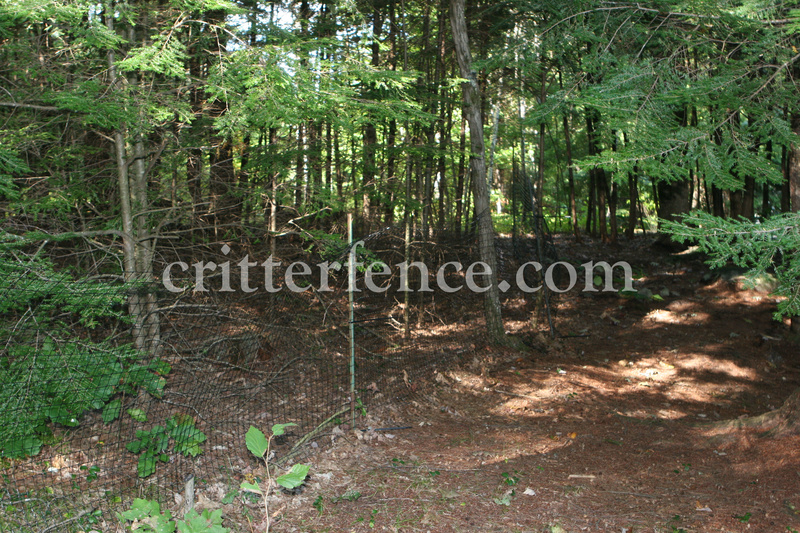 Tom used Critterfence 700 poly fence mesh on top of wooden framing to enclose his garden area. 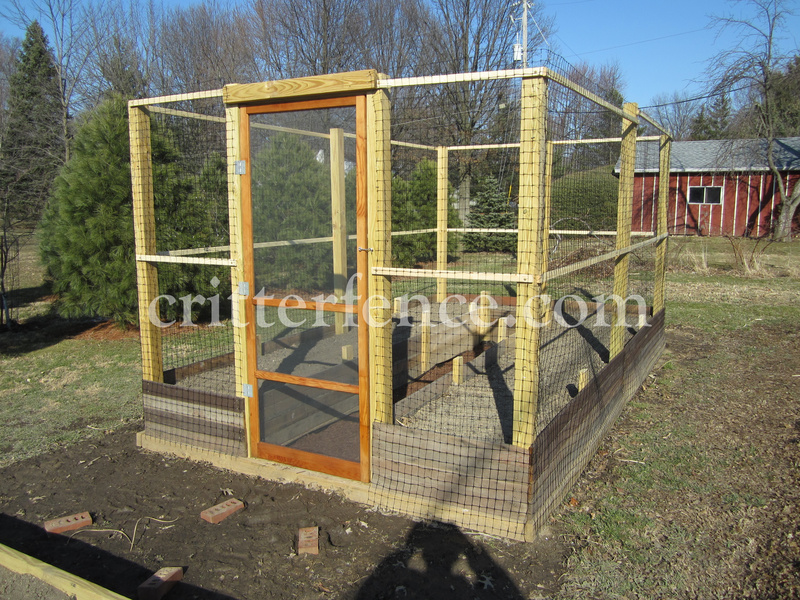 This is a good example of how to build an enclosure with a top to keep out birds also, to protect berries, etc. 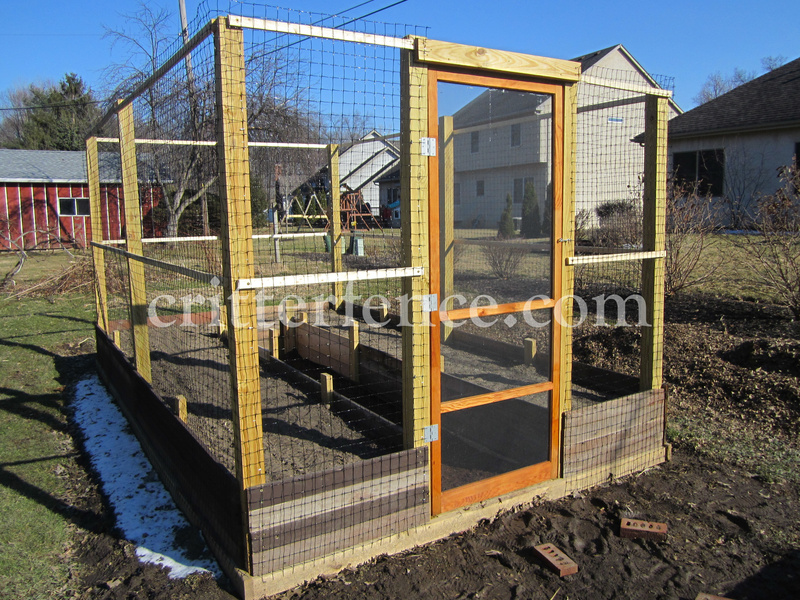 Thanks to Anthony for his photos of the enclosure he built recently. 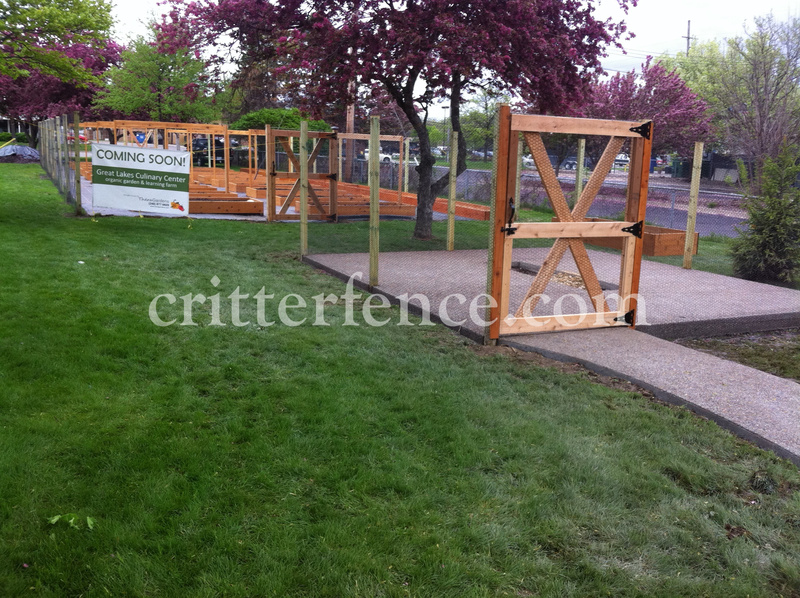 Anthony used Critterfence Steel Web 7.5 x 100 along with his wood framing to create this custom fence, very nice!